Hannibal Mayor Fred Kent, at left, accepts a plaque marking the 20th anniversary of the Country Cruizers car club from current President Mike Abare. Photos by Harrison Wilde. 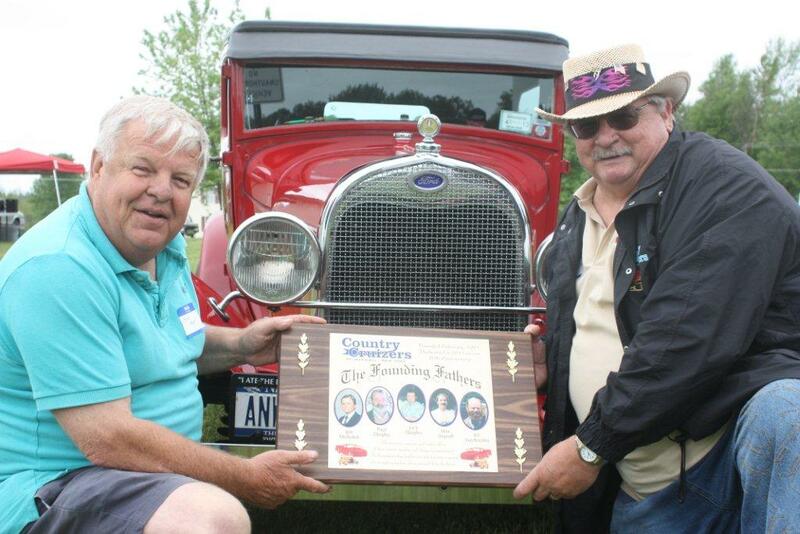 Hannibal’s Country Cruizers classic car club turned 20 earlier this year. Contributing photographer Harrison Wilde swung by the reunion and tells us that the club presented to Hannibal Mayor Fred Kent a plaque representing the founding members of the club. The plaque will hang in Hannibal town hall. A closeup shot of the plaque presented to Hannibal's Mayor by the club. 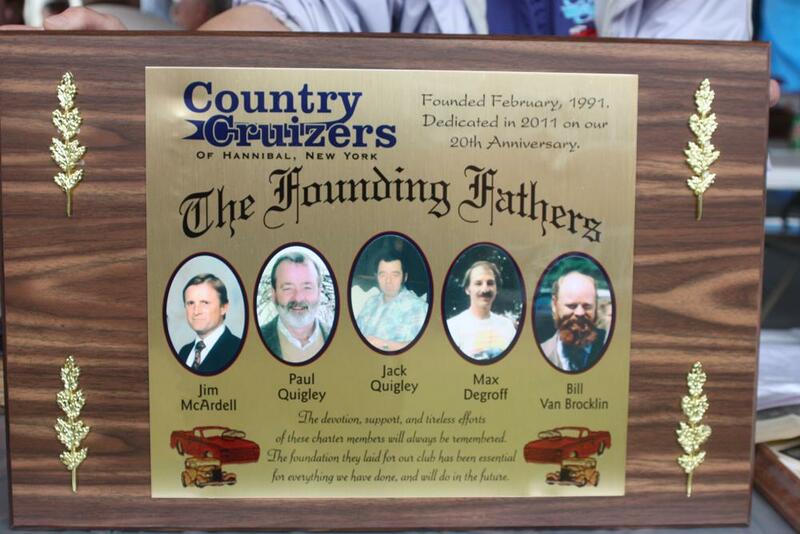 The plaque shows the five founding members of the Country Cruizers. Photos by Harrison Wilde.